First Appearance (Additional Details): (comic strip) "Enter... Dippy Dog!" (in newspapers 8 Jan '33); (comic book) Mickey Mouse Magazine #1 (1935); (Super-Goof) The Phantom Blot #2 (Apr. 1965): "The Phantom Blot Meets Super Goof"
Goofy is most commonly a comedic relief character or "everyman" character. 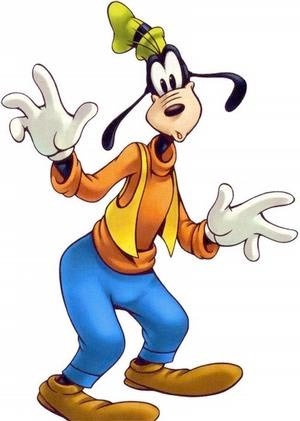 But he has also been featured in Disney films as a comedic super-hero named "Super-Goofy" (or "Super Goofy"). The Phantom Blot #2 (Apr. 1965): "The Phantom Blot Meets Super Goof"